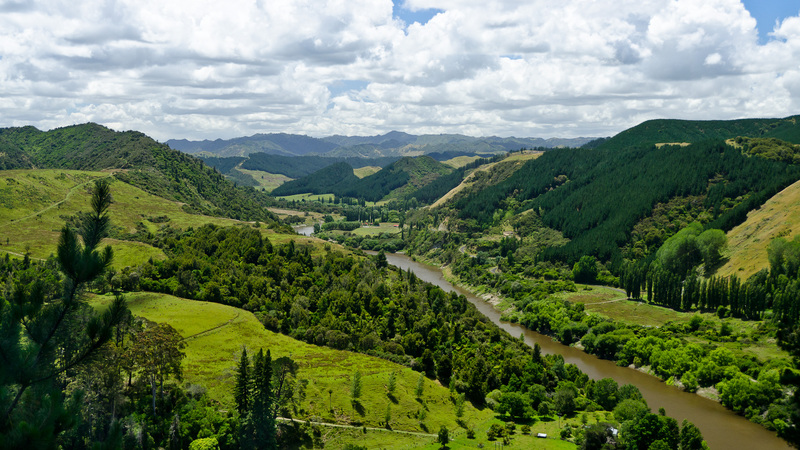 On March 20th, 2017, the New Zealand government enacted legislation recognizing the Whanganui River as a legal person, holding rights and responsibilities equivalent to a person. Since this settlement was first announced, many have speculated about the wider effects of the decision, how it may apply in other contexts, and the impact it could have worldwide. The unique background behind this legislation merits a full explanation. The Māori people of the river, the Whanganui Iwi, have an ancestral connection with the River, existing long before the colonization of New Zealand. The Whanganui River legislation enshrines that pre-existing relationship. The decision is significant not only for granting legal rights to a natural entity; it models a practice to evolve the common law to better respect and reflect Indigenous legal principles. What was it about the river, and its people, that led to this unique legal result? Under common law, legal personhood has been granted to corporations, as well as to other non-human entities including trusts, joint ventures and nation-states. Cases like the Whanganui River, though grounded in Māori law, also illustrate a common law shift in extending legal personhood rights to the natural world. The expansion of legal personhood for the Whanganui River was not an arbitrary decision. The legislation came after two centuries of physical and legal struggle by the Whanganui Iwi against colonial control of the river. The Waitangi Tribunal (set up in 1975 to settle outstanding claims arising from New Zealand’s sole treaty, the Treaty of Waitangi) documented their history of action in the 1999 Whanganui River Report. As would later be enshrined in the legislation for the Whanganui River, the Iwi of the river held a common understanding: “Ko au te Awa, ko te Awa ko au.” I am the River, and the River is me. The strength of the relationship between the river and the Whanganui is evident from their long and determined fight to protect the river. Multiple different Whanganui hapu, or sub-tribes, acted as one people to protect the river against colonial control. The Iwi attempted to prevent Crown development starting in 1883, through petitions to the government claiming violations of their Treaty rights. When petitioning failed, the Iwi turned to direct action, protecting the River through obstructing work, and refusing offers of compensation to step aside. Through arrests and threats of further legal action, the Crown eventually forced the Whanganui to abandon their actions. Their fight continued in court: they launched a claim to the river in 1938 in the Native Land Court, which dragged on 24 years through multiple appeals, eventually failing in 1962. The creation of the Waitangi Tribunal, in 1975, finally provided a venue for Whanganui Iwi to legally establish their true relationship with the River. Through meeting with people in their own cultural spaces, and hearing testimony in their own language, the Tribunal was able to make unprecedented findings about the peoples’ connection with the River and the restraints they were forced to work under during the colonial era. Following the publication of the Whanganui River Report, the Whanganui Iwi and the Crown began a long process of negotiation, ending in 2014 with Ruruku Whakatupua, a settlement deed. The deed recognizes the Whanganui River as a legal entity, Te Awa Tupua, with rights equivalent to personhood. To uphold these rights and interests, the Act creates Te Pou Tupua, a two-person governing body to act as the human face of the river. Designed to “advise and support Te Awa Tupua in the exercise of its functions,” this body is made up of one representative nominated by the Iwi with interests in the Whanganui River, and one representative from the Crown. The first representatives were appointed on September 4th, 2017. Several “intrinsic values” to guide Te Pou Tupua are included in the Act. These include “Ko te Awa te mātāpuna o te ora: the River is the source of spiritual and physical sustenance,” and “E rere kau mai i te Awa nui mai i te Kahui Maunga ki Tangaroa: the great River flows from the mountains to the sea." The Act formally acknowledges the responsibility the Whanganui Iwi hold, to maintain the health and well-being of the River, based on their tikanga (their pre-colonial governance system). The legislation also includes financial compensation and an apology from the Crown for the damage caused to the river and its people. Upon successful passing of the legislation, Whanganui Iwi in attendance celebrated with a waiata, a traditional Māori song of celebration. The Whanganui settlement may be the beginning of a legal movement – a foundation for both incorporating Indigenous legal systems into the common law system, and evolving the Canadian legal system to reflect a less anthropocentric worldview. Note: The Whanganui River is not the only natural entity to be recognized as a legal person by the New Zealand government. Te Urewara, a region understood to be an ancestor by the Tūhoe people, was granted personhood status in 2014, after a Tribunal report and subsequent negotiation process similar to the one that led to the 2017 legislation.